Some application files are made for fitting in with the requirement of different platforms, say the 64-bit or 32-bit system. 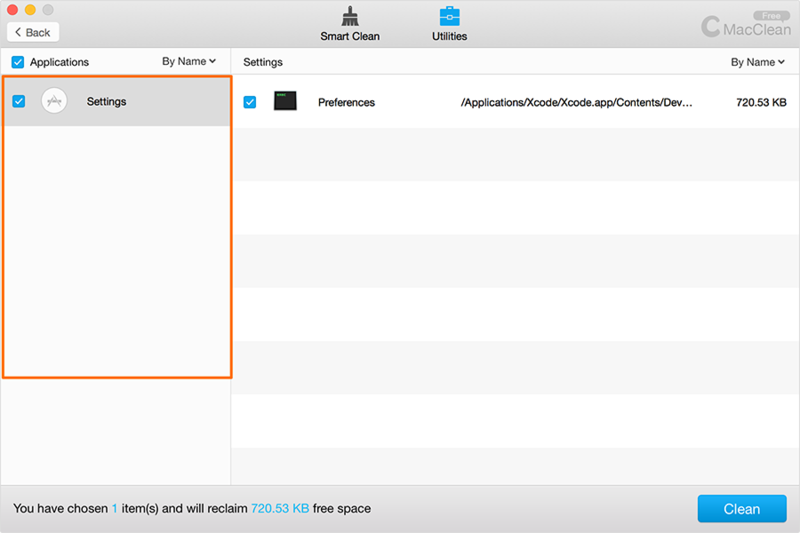 These files not only take space on your Mac, they may also reduce your application loading and running speed. 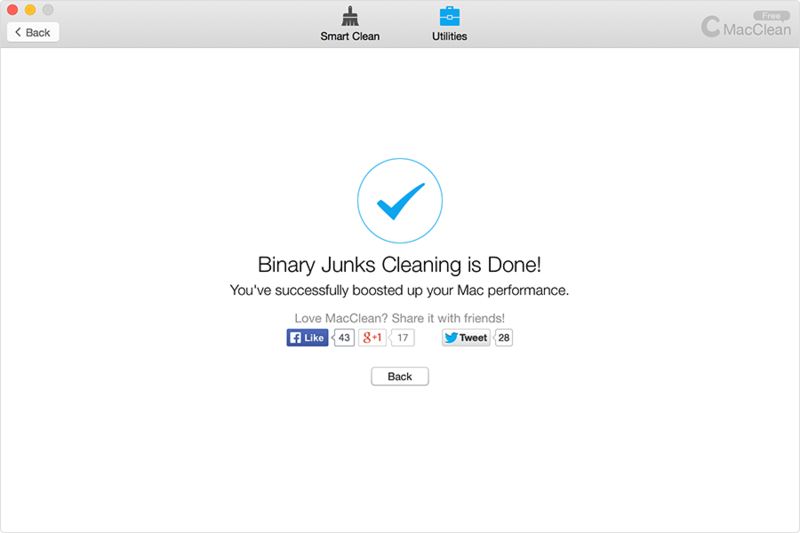 By performing a cleanup with Binary Junk Remover, you can get rid of these superfluous junks with ease. 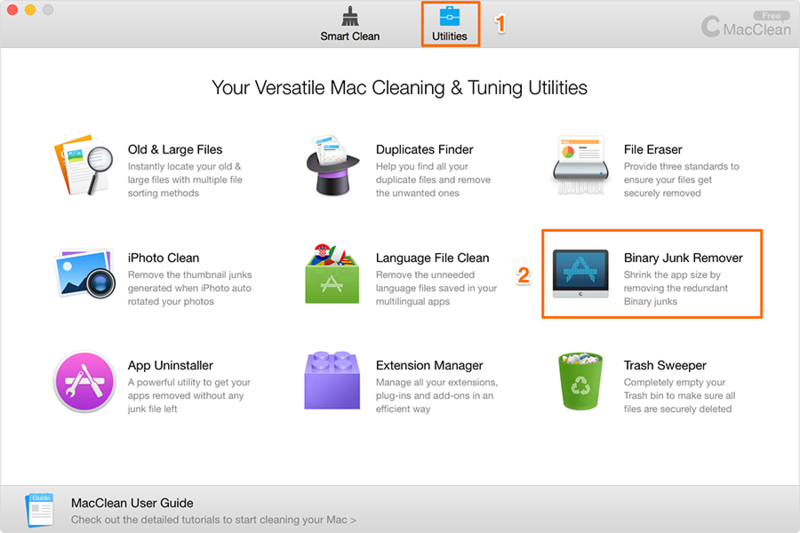 After selecting files on Apps, you can click Clean to start the cleaning.